Do you have guests this weekend? Springmoor is happy to help! We have guest rooms, dining services, exercise facilities, a computer lab and game rooms for your visitors while they are here. We want both of you to enjoy your time together and leave the hospitality duties to us. Your guests are welcome to dine in any of our four dining areas. Whether it is a white tablecloth dinner or a quick snack at the café, we can help! You can grab an ice cream afternoon snack with your grandchildren or enjoy a cocktail and dinner with your best friend in the dining room. If you prefer to host a special event dinner party with your guests, our catering services can help plan this too. We have several private dining rooms to offer for your event. 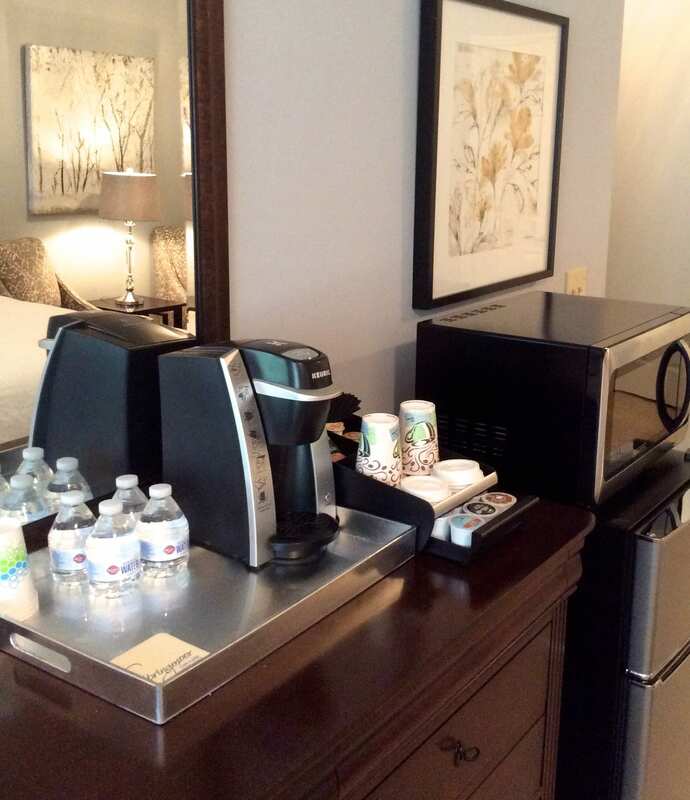 Our newly renovated guest rooms now have refrigerators, microwaves and Keurig Coffee Makers for a late night snack or an early morning breakfast. 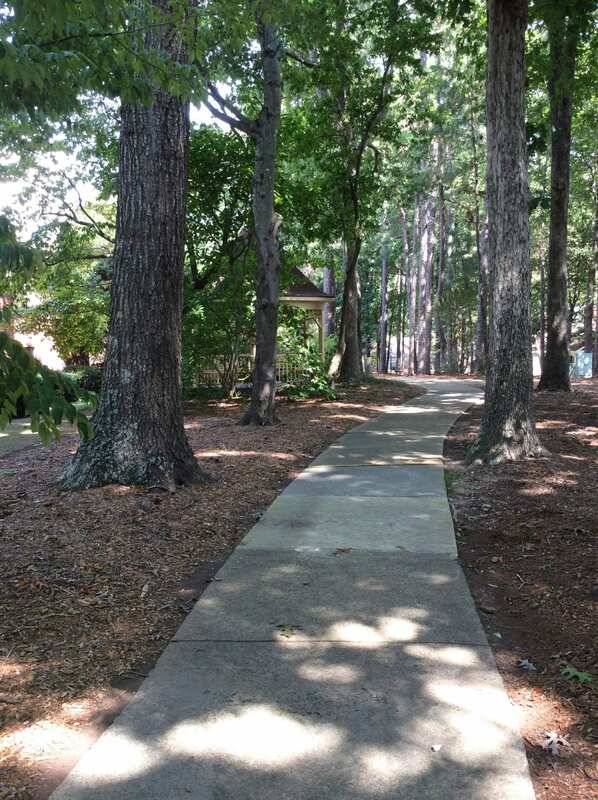 Springmoor is surrounded by beautiful neighborhoods with bike trails and walking paths. The Capital Area Greenway Trail system has over 100 miles of trails and 14 parks. Your guest can run through the neighborhood, walk around one of the city’s lakes or visit our Wellness Center and jog on the elliptical trainer. Springmoor’s saltwater lap pool is perfect for an early morning swim or an afternoon with the grandchildren. We invite your guests to join you for fitness class too. 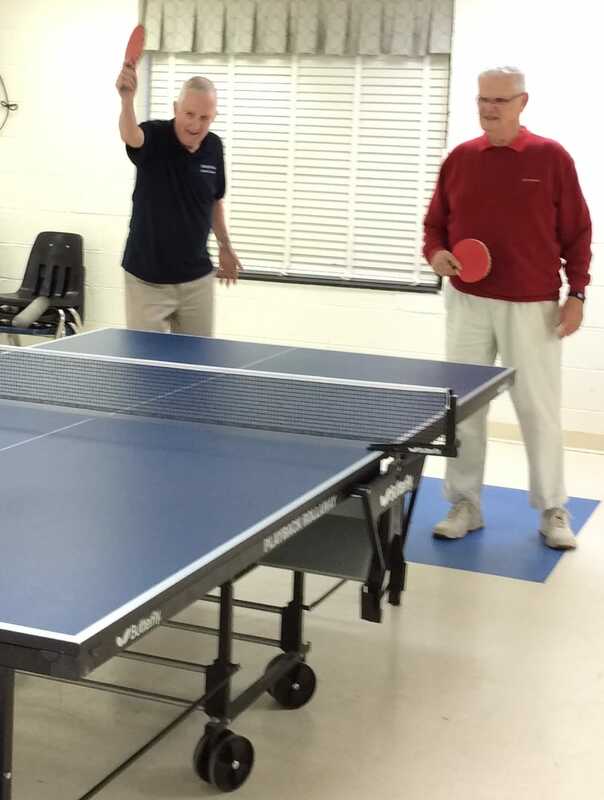 Ping Pong with friends and family is great for a few laughs! Billiards, Horse Shoes, Putting on the Green, Ping Pong, Puzzles and Croquet can all make a fun family afternoon with your guests. The Woodshop and the Meraki Arts Studio can be used to work on a special project if you need a little extra room or special tools to create a unique project. Need to check your flight schedule or print a boarding pass? Our computer room is available for your guest too. The small convenience store is open every morning, making it easy to pick up any item your guest forgot to pack. We also have a Wells Fargo Branch located in North Village. All of the services and amenities we offer to our residents are also available for their guests. Our Springmoor Presents series of musical events and lectures is offered several evenings a month and we would love to have your guest join you for that too! Running, golfing, dining, and shopping: Raleigh has so much to offer its visitors! The list of museums and festivals available make Wake County a wonderful place to visit. If you haven’t shown your guest the NC Museum of Art, seen a show at the Durham Performing Arts Center, visited the NC State Fair, attended a Durham Bulls baseball game, or listened to the banjos at IBMA Wide Open Blue Grass, you have a long list of things to do! We are home of the very best ACC basketball, baseball and football too – the Triangle can be filled with Wolfpack, Tar Heel and Duke fans most any weekend. 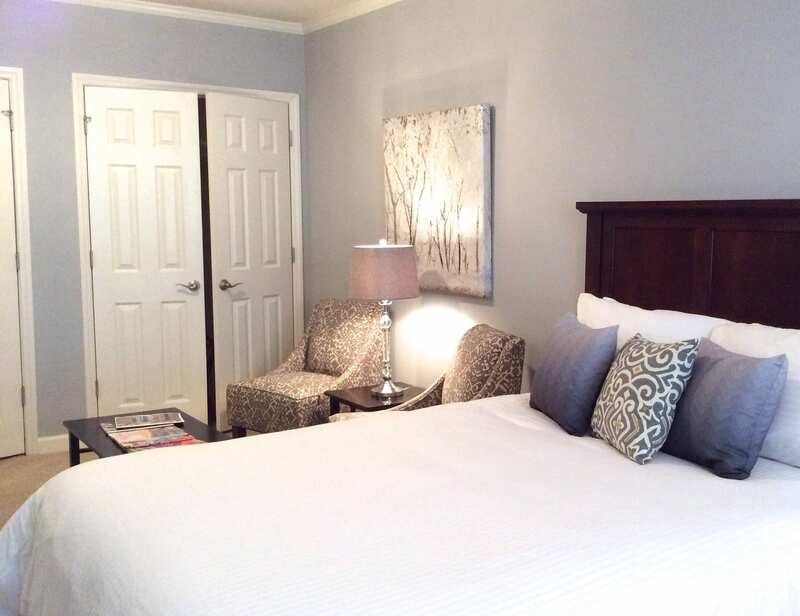 If you are in town for a game or a short visit with your parents, we have a room for you! 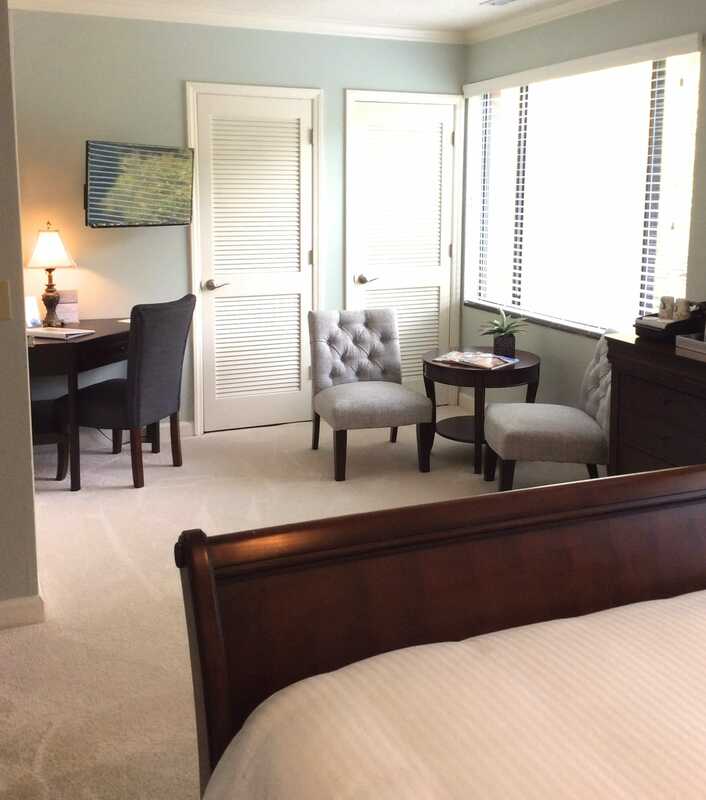 Our guest rooms are located in both North and South Villages. We have a variety of sizes for you and your family. Several of our guest rooms also include a full kitchen and a sleeper sofa for the little ones. We have smaller rooms too if your stay is only for a night or two. 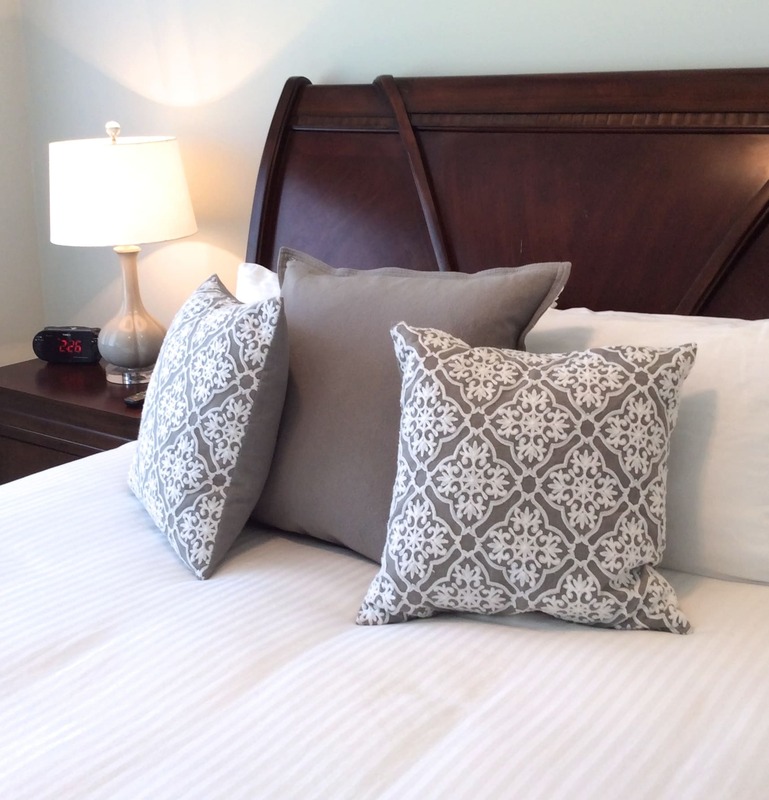 To reserve a room for your next stay, please call our front desk for reservations 919-848-7000. Be our guest, be our guest, BE OUR GUEST… we look forward to seeing you at Springmoor. ← What Makes Springmoor Unique?